By designating Iran’s Revolutionary Guards as a foreign terrorist organization by the US, the Iran regime received a heavier blow than what it received from the withdrawal of US from the Joint Comprehensive Plan of Action (JCPOA) in last May. From the beginning of its establishment, Iran’s Revolutionary Guards become the armed wing of the regime and the main mean of the Velayat-e Faqih for exporting terrorism abroad and for domestic suppression. By a full support, Khamenei gave the Iran’s Revolutionary Guards a free hand to plunder the country’s wealth and to form a state within a state. The Iran’s Revolutionary Guards answers only to the Supreme Leader. Khamenei’s exclusive power of appointing poppet commanders of Iran’s Revolutionary Guards gives him an ace up his sleeve in the regime’s internal power struggle. It is notable that, Ali Akbar Hashemi Rafsanjani, known as the no.2 figure of the regime, having a key role in appointing Khamenei as the Supreme Leader did not succeed in regime’s internal power struggle, and finally his dead body was found in a swimming pool. Some relate this death to the Iran’s Revolutionary Guards. Another example of Iran’s Revolutionary Guards dominance within the regime is Rouhani’s complaint, following Zarif’s resignation. He complained about the Iran’s Revolutionary Guards’ actions and their interference in his administration’s affairs; another showcase of power struggle within the regime. Indeed, Khatami, Rouhani and the so-called reformist faction within the clerical regime, act as fronts for the militarist regime ruling Iran. This play beguiles no one in the international community anymore. Designating Iran’s Revolutionary Guards as an FTO by the U.S. has changed the regime’s main tool of survival into its Achilles heels and the regime is on the horns of a dilemma over how to respond to the US. Besides suppressing the opponents in Iran and carrying out regime’s foreign belligerent policy, Iran’s Revolutionary Guards has the lion’s share of the national economy. The Iran’s Revolutionary Guards carries out its financial activities via possessing more than 1,000 manufacturing companies, financial and contracting institutions. By founding numerous ports, the IRGC is involved in smuggling goods as well as conducting extensive foreign trade activities. Once Ahmadinejad, the former regime’s president, admitted to the IRGC’s illegal activities and openly called them “smuggler brothers”. Under the pretext of privatization and economic reform, Khamenei granted a huge part of the government assets to Iran’s revolutionary guards. By designating the Iran’s Revolutionary Guards as an FTO, all its economic sectors, especially its foreign trade, is targeted by the Office of Foreign Assets Control (OFAC) of the US Department of the Treasury. 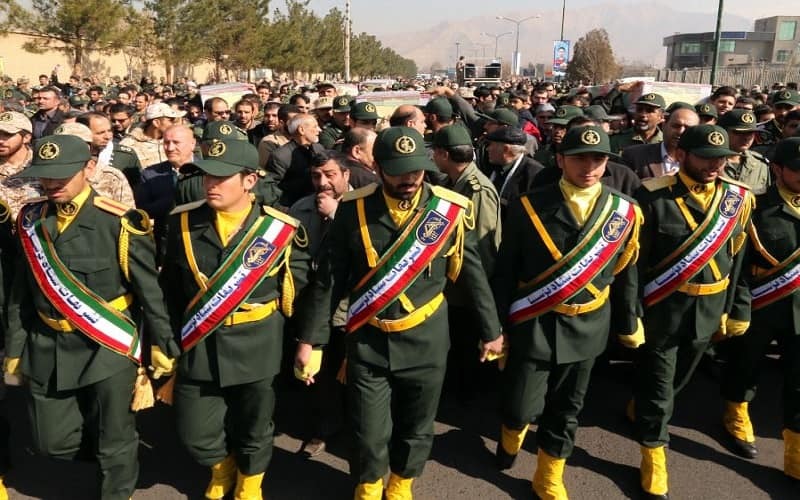 The Iran’s Revolutionary Guards’ trade counterparts are well aware of the consequences and likely, will not take the great risk of trading with a terrorist entity. Moreover, Iran’s Revolutionary Guards commanders will have a lot of trouble with traveling abroad. After the looting role of the IRGC in constructing non-standard structures was revealed, the price of which the Iranian people are paying by their lives and assets in the most recent floods, this malevolent force will be targeted by the public wrath more than before. Therefore, Khamenei has lost all his investment in Iran’s Revolutionary Guards, as the most reliable force of survival of his regime.